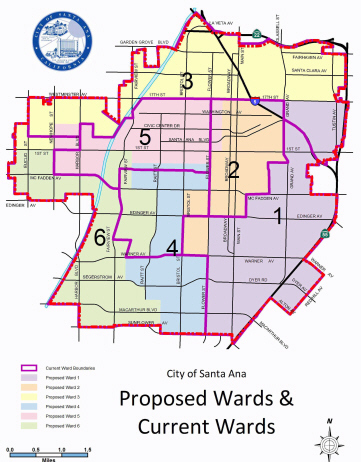 Update: The Santa Ana City Council voted unanimously this week to approve the proposed changes to the Santa Ana Ward Maps. Past mayoral candidate Thomas Gordon is now in Ward 4, which is represented by Councilman David Benavides. Gordon will not be able to run against Councilman Sal Tinajero in Ward 6 – ever. 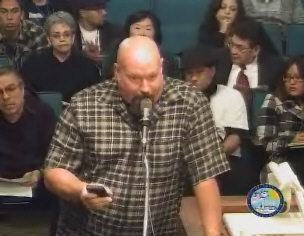 The Santa Ana City Council at its regularly scheduled City Council Meeting, held December 19, 2011, approved, by unanimous consent, the first reading of an ordinance that will change the City Council Ward Boundaries. But while the City Council could, and should, have settled the matter that night, they instead opted to put the changes off until a second reading of the ordinance, which is set for Tuesday, January 17th at 6 p.m. in the Council Chambers.